With the cancellation of net neutrality in the U.S. in 2017, the two decade forging of public-private business partnerships between governments and politically powerful corporations and institutions has cleared the way for factual information about health to be censored as “fake news” and quietly removed from the Internet if it does not conform with public health policy and government recommendations for use of pharmaceutical and food products. Snopes and Web of Trust are rookies compared to the professional SWAT team hired this year by a new corporation, NewsGuard Technologies, Inc., to rate websites and online publications so, in their own words, they can quote “fight false news, misinformation and disinformation.” NewsGuard is collaborating with The Paley Center for Media, Google, Microsoft, Publicis, schools, libraries and other institutions to protect you and your children from news and perspective they think will harm you and society. The U.S. government now recommends that children receive 69 doses of 16 vaccines between the day of birth and age 18, with 50 doses given before the age of six, which is triple the number of vaccinations given to children in 1983 Almost all of these vaccinations are mandated by states for children to attend school and some children are being refused medical care and adults are being fired from their jobs if they don’t get every one of them, even after suffering vaccine reactions and deterioration in health. Very soon you may not be able to get this information or talk about it online. Although NVIC takes a pro-education, pro-informed consent position and does not make vaccine use recommendations, NVIC’s Pinterest account was recently suspended. The reason given was that Pinterest takes action “against accounts that repeatedly save content that includes harmful advice, misinformation that targets individuals or protected groups or content that originates from disinformation campaigns” and that Pinterest operators “don’t allow advice when it has immediate or detrimental effects on a Pinner’s health or on public safety. This includes promotion of false cures for terminal or chronic illnesses and anti-vaccination advice,” adding that they rely on “information from national and internationally recognized institutions like the CDC and WHO World Health Organization” to guide their judgments. 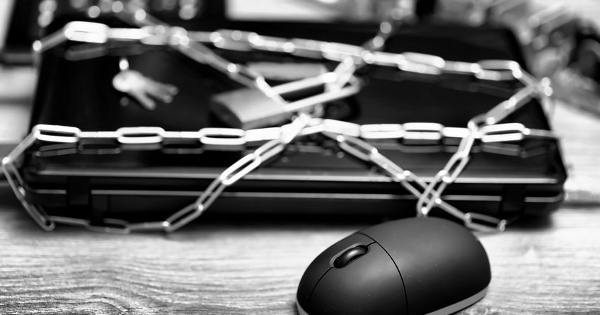 The new Internet Police scrubbing the World Wide Web of information they do not want you to see or talk about is part of the larger culture war going on today in our country and in many countries. When it comes to vaccination, discrimination and censorship are justified in the name of public safety and The Greater Good. Who among us in society should be given the power to take away our freedom to seek and obtain knowledge, to engage in rational thinking, to speak in the public square and follow the judgment of our conscience when making decisions about what we are willing to risk our lives and our children’s lives for? This action occurred after a number of other sites which either question the safety of vaccines, or are critical of the vaccine industry, reported similar de-platforming. The full email is shown in the link below. 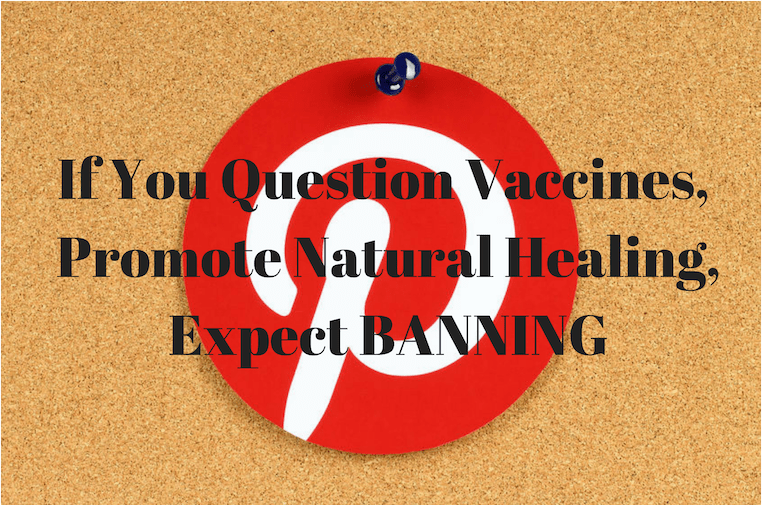 Other platforms who have reported on Pinterest’s censorship include The National Vaccination Information Center (NVIC), Mercola.com, NaturalNews.com, and Health Impact News. You can learn more by reading, Eroding Freedoms: Pinterest Removes NVIC’s Boards, and Pinterest Censoring Anti-Vaccine Doctors and Pins Related to Vaccine Rights. Globalists have been implementing their new world order under the radar for decades. Now, during completion that makes them vulnerable, their actions are overt and bold like censorship. Two good reasons to share facts about censorship are 1] time is short to empower lawful, peaceful action to take back personal power and 2] a new era requires man to purify the past world age before a new one can advance. Choices every man makes now are shaping what is to come. Thank you. This entry was posted in Awakening humans, Canadian Peoples Union Freedom 2017, Energy, Frequency, Vibration, Globalization, Great purification, Media malfeasance, Public Notice, Silence is agreement and tagged Every choice. Bookmark the permalink. Reblogged on COINTELPRO & the Truth About Organized Stalking & 21st Century Torture (http://gangstalkingsurfers.wordpress.com) and commented: As a recent refugee out of 21 years of crime, torture and embezzlement in California, I urge everyone to WAKE UP!! !